Discussion in 'Figure News' started by CHRONOS, Apr 10, 2019. Sculpted by: S.Tomilin & Chronos 3D Crew . Size 54 mm (1/30). Number parts: 19. Date release: April, 2019. Made in Russia. Edorta, harrytheheid, Manfred and 19 others like this. Nice, but what's happened to the lower sabre sling? Chronos!!!!!! !I just love these guys.Their mounted Napoleonics are among the best out there.This one is no exception from what I see. Reptor, Jaybo and Viking Bob like this. The guy wears the uniform with the old helmet (before the reform) in which the cuirassiers of the guard at Austerlitz were mauled bad by the Mamluks! 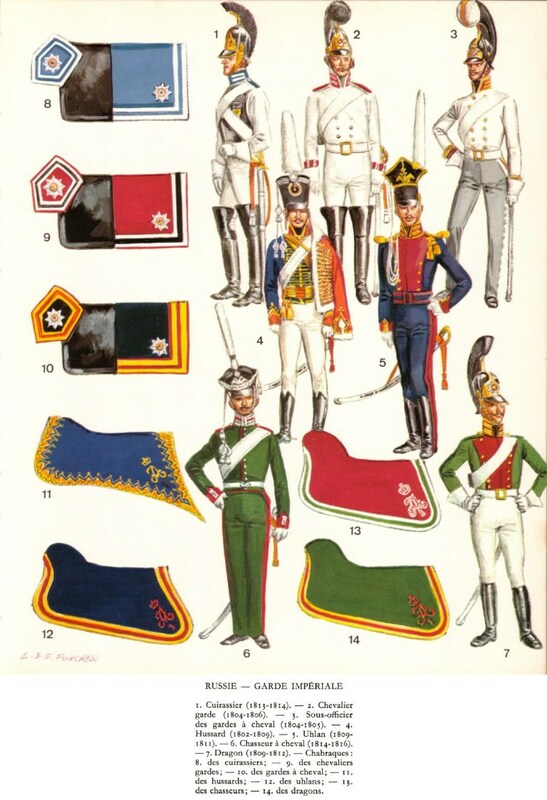 It can be painted as a Chevalier Guard or as Life Guard - the uniforms were the same, only the color of the saddle blankets varied (#'s 9 and 10). NCO's wore a black helmet bush that ran out white in front with a vertical orange stripe (# 3). aknific, Tom W., Tonton and 1 other person like this. We left this belt to straight lines. It is necessary that it did not break before molding and casting. This belt can be curved then as it will be necessary for you. Martin64 and svt like this. aknific, Tom W., Jaybo and 3 others like this. Reptor and Viking Bob like this. Great figure and references. But how on earth did they manage to fight with a helmet like that? The weight of the crest must have made it very difficult to keep it balanced on their heads. Viking Bob and Oda like this. A very nice figure, which I like a lot but I will have to paint a horse . On my want list now. But how on earth did they manage to fight with a helmet like that? The weight of the crest must have made it very difficult to keep it balanced on their heads. - Helmet private guards heavy cavalry. - Helmets non-commissioned officer of line heavy cavalry. - Helmet officer guards heavy cavalry. aknific, Oda and Viking Bob like this. Marvellous release by a dynamic company. 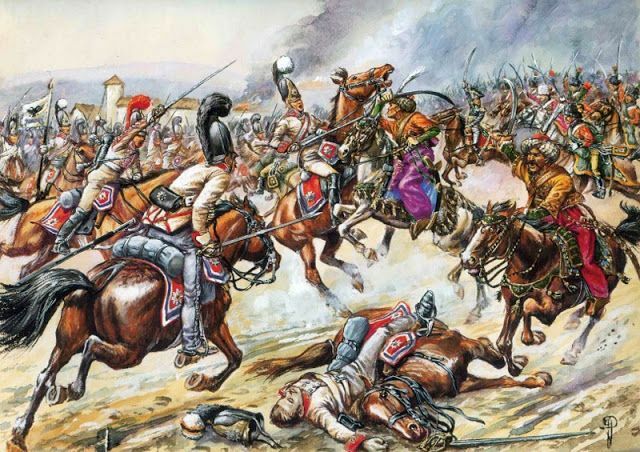 The horses are excellent and the Napoleonic Russian cavalry is as well. Well done Chronos and thanks for the documentation. Another outstanding figure by CHRONOS. But this is one I have been waiting for. Great work! Another beautiful release by Chronos ! Jaybo and Viking Bob like this. Yes, I did wonder if that was the reason (but does look strange on your photos). It is a pity to break this part in order to photograph the master model. These are fabulous miniatures of an unfairly neglected subject. I've bought several of them now and they are all excellent. Ive been waiting for a mounted Chevalier Guard for some time so well done! What about one variant wearing the cuirass?? Viking Bob, Oda and Jaybo like this. Cuirassiers during the reign of Alexander I the cuirass were received in 1812, and among the line regiments not even all of them managed to get the cuirass by the end of the year, some of the regiments received the cuirass later. Therefore, if you add a cuirass to this figure, then the figure will no longer fit in 1805, and for 1812 you will need to redo the belt for the cartridge box, saddle cloth, plume of the helmet, add scales on the chinstrap, redo the collar and collar patches, slightly change the cut tails of the tailcoat and some other little things. Viking Bob, Martin Rohmann, Jaybo and 1 other person like this.